Halong Bay is the most popular place in Vietnam that attracts thousands of tourists all around the world every year. Experience the best time of Halong Bay tourism and you will find that your perfect choice. Halong Bay is one of the Natural World Heritage sites recognized by UNESCO in 1994. 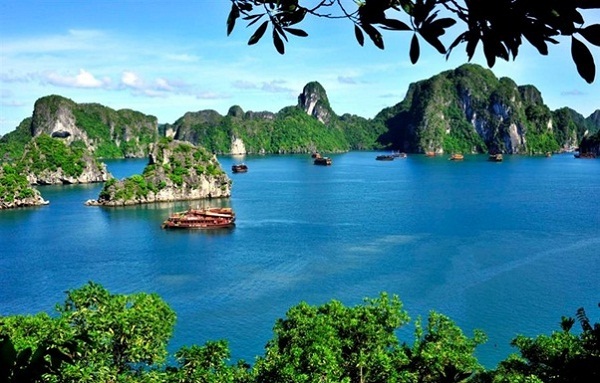 As Vietnam top’s attraction, Halong Bay has an area of around 1,553 km2 including nearly 3000 islands and islets. 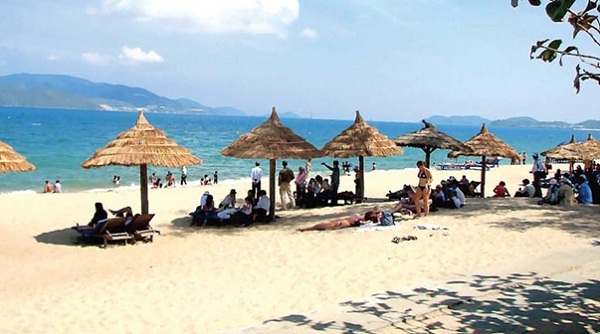 The core of the bay is an area of 334 km2 with a lot of famous sites such as Thien Cung (Heavenly Residence Grotto), Dau Go (Driftwood Grotto), Sung Sot (Surprise Grotto), and Tam Cung (Three Palace Grotto), Tuan Chau islet, Bai Chay beach, etc. 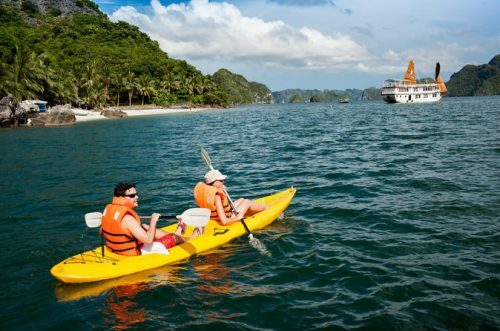 The most interesting and popular kind of tours in Halong Bay is traveling by cruises. We can offer a wide range of cruises in Halong Bay. Please contact us to be professionally served. Now, let start the Halong Bay tourism and enjoy the best spirit while traveling. Travelling to Halong Bay, you cannot miss visiting gorgeous grottoes which are Dau Go Grotto, Trinh Nu Grotto, Trong Grotto, etc. Each grotto also has its own story about its origin name that tourists always find it interesting. The name “Dau Go” Grotto stems from a history story related to a hero who used many ironwood stakes planted on the riverbed of the river to fight against invaders. The remaining wooden pieces were found in this grotto which then named after its present name. Inside the grotto appear many ancient stones as magic world of rock under mysterious lights. At the end of the grotto is a well of clear water surrounded by walls. Thien Cung grotto has legendary about a beautiful love story. Impressive images including birds, fishes, flowers and even scenes of human life are carved in the stone that becomes masterpieces. 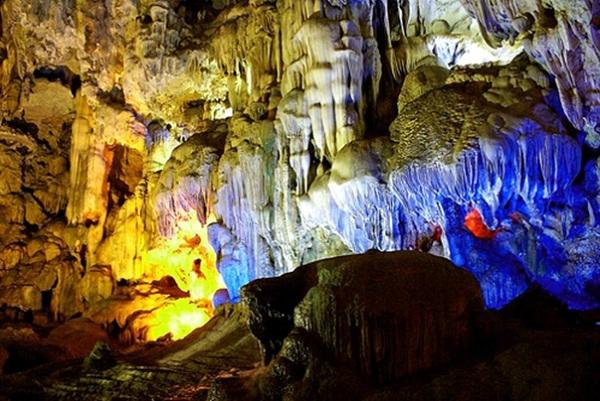 Halong Bay tourism is continued by the next destinations which will give tourists more exciting experience when visiting Trinh Nu Grotto and Trong Grotto. When visiting the Virgin Grotto, you can still see a petrified girl with her long hair hanging down and eyes looking towards the mainland. And the Trong Grotto is home to the lover whose face is turned towards that girl. What a sad story that makes us ourselves admire about their love. Halong Bay tourism cannot exclude Tuan Chau islet which covers approximately 300 ha area as a high standard resort with a lot of 5 – star hotels for tourists. Especially, on this islet, visitors can participate in sports activities including high speed waterskiing motor, pulled canoes, windsurfing, fishing, boating, hiking, camping, etc. 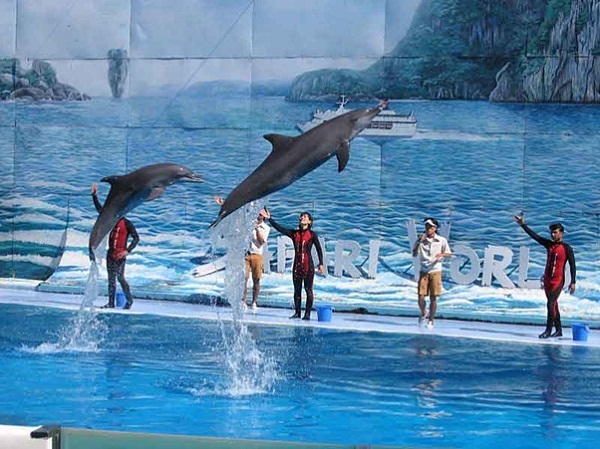 Tourists also have opportunities to watch performance of dolphins, sea lions, seals, circus animals, etc. Tuan Chau is regarded as a pearl island of Halong Bay. Every one arriving in Halong Bay also goes to Bai Chay beach, one of the most beautiful beaches in Halong as well as in Vietnam. Bai Chay runs along sea for more than 2 km. This is ideal place to relax through a lot of excited activities such as swimming, sunbathing, kayaking, etc and enjoy wonderful atmosphere and have unforgettable feelings. Let Book a cruise to start a Halong tourism right now and you will experience all above wonderful things. 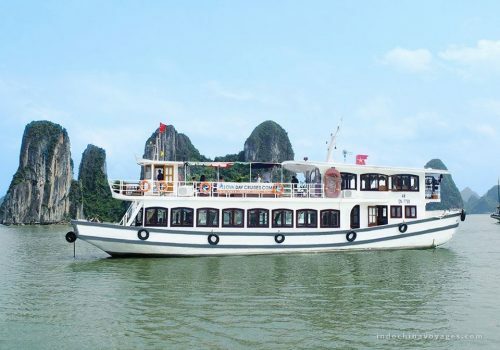 How to pick a Halong Bay Overnight cruise?